It wasn’t long ago that most loudspeakers were just boxes of folded MDF with a half-decent finish slathered on top. There was little in the way of proper cabinet bracing, driver arrangements were far more haphazard than they are today, and build quality was, by today’s standards, sub-par. It was also generally assumed that a listening room’s appearance was secondary to the sound spewed about the room by rudimentary-looking, upright caskets. Time has marched on. Today’s speaker designs benefit not only from vastly more sophisticated manufacturing techniques and materials, but also from finite-element analysis, computer-based software modeling, and Klippel-based R&D systems. The mystical acoustical philosophies of speaker designers of the past should be left there -- nowadays, almost anyone with the right tools can contrive to produce a halfway-competent design without expending much effort. Engineering teams of today spend time focusing their efforts on the subtler challenges of acoustics and electronics. But what about focusing enough on appearance and materials to build objects that not only sound good but look good? Sure, many speaker companies make curved cabinets and offer selections of attractive hardwood veneers, as well as the increasingly popular high-gloss black and white finishes. But still, there are few speakers that can be unabashedly and unreservedly called objects of beauty. One of them is Sonus Faber’s Venere S ($4999 USD per pair; add $500 for Wood finish). Two years ago, when I reviewed Sonus Faber’s Olympica I bookshelf model ($6500/pair), I oohed and ahhed over the attention to detail lavished on its exterior. Between the front- and top-mounted swaths of genuine leather, to the richly vibrant grain of the curved wooden cabinet, its brushed-metal binding posts, and its perforated rear venting system, it was a visual feast, especially from up close. The less expensive -- and full-size -- Venere S looks every bit as impressive, in strokes broader and more sweeping. The lyre-shaped cabinet of the S (which stands for Signature) sweeps up toward the rear, looking as if molded in a wind tunnel. The front panel has a subtle curve, and its clean vertical lines extend all the way down the baffle, unobstructed by ports or the heads of driver mounting bolts. A flourish of brushed aluminum encircles each of the five drivers, while the raked top panel is a piece of black glass with the Sonus Faber logo laser-etched toward the front. The cabinet’s sweeping lines taper to a very narrow, flat rear panel on which are two pairs of five-way binding posts; jumpers for biwiring and biamping are included. The profile of the Venere S is stunning. My review pair had the optional Wood finish of unlacquered, unpolished cherry in a superb shade -- at $500 extra, the easiest choice of option you’ll ever make. What’s most impressive is that the entire wooden cabinet seems made from a single, continuous piece of wood. I was unable to spot any seam where two pieces were joined. Combined with base plate of black, brushed aluminum, which has chamfered silver edges that glint just the right amount under direct light, and conical aluminum feet (discs are included for use on hardwood floors) that are shorter in the back than in the front, the Venere S is the prettiest speaker I’ve ever seen. To my eyes, it looks like a speaker costing at least $10,000/pair. I don’t know how Sonus Faber can hand-make these in their Italian factory for just $5499/pair. The S’s dimensions of 48.2”H x 15.2”W x 18.6”D make it a substantial proposition. Yet its 63.5-pound weight belies its size -- looking at it, I thought it weighed 10 or 20 pounds more. Sure enough, when I rapped my knuckles on a side panel, it responded with a hollow resonance -- the Venere S doesn’t have the most inert cabinet you can buy for $5000. The bass-reflex cabinet has a large, downward-firing port whose invisibility adds to the cleanness of the speaker’s lines. I assumed that the S, the flagship model of the Venere line, shares many components with its six siblings, which comprise two other floorstanding, two bookshelf, and center and on-wall models. Like the other Veneres, the three-way S has a 1” silk-dome tweeter, but this one has a higher-performance diaphragm, a visco-elastic suspension to uncouple it from the cabinet, and an upgraded voice-coil and magnet system. The midrange driver has an upgraded basket identical to the one used in Sonus Faber’s costlier Olympica line, while its 6” polypropylene cone is also slightly improved, SF claims, over the one used in the Venere 3.0. The three 7” aluminum woofers are of a completely new design and, like the midrange, have custom baskets. All drivers are designed by SF, and built by Berlin-based manufacturer DKM. Sonus Faber uses what they call a “progressive slope” crossover, with an unusual electrical third-order (18dB/octave) filter on the woofer and tweeter networks, with respective crossover frequencies of 250Hz and 2.5kHz. In this case, “progressive” means that the crossover has a 6dB/octave slope up to the handoff to the midrange driver, at which point the steeper, third-order slope kicks in. 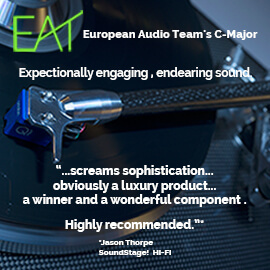 This purportedly contributes to the signature tonal characteristics of a Sonus Faber creation. According to Paolo Tezzon, designer of the Venere S and Sonus Faber’s manager of R&D, the midrange driver uses a first-order (6dB/octave) slope. Tezzon prefers a shallower midrange filter, so as to achieve some of the benefits of a crossoverless design: a single driver handling the majority of the audioband. I discovered this only after noticing that the midrange driver exhibits a lot of excursion. In fact, with bass-heavy music, the midrange cone seemed to travel farther in and out than did the cones of any of the larger woofers below it. Tezzon assured me that the Venere S’s midrange was designed to withstand such treatment. In perusing the Venere S’s spec sheet, I couldn’t help but notice that the Venere 3.0 tower ($3498/pair), the next model down in the Venere line, is listed as having a frequency range of 38Hz-25kHz. The Venere S’s specified frequency range is 40Hz-25kHz, despite its having a far larger cabinet and an additional 7” woofer. The S’s sensitivity is 90dB/2.83V/m, its nominal impedance 4 ohms; Sonus Faber’s suggested range of amplification is 40-300Wpc. The Venere S was driven by three different integrated amplifiers during their time here, with these outputs into the speaker’s 4 ohms: Gryphon Audio Designs’ monstrous Diablo 300 (600Wpc), with optional DAC board; my reference Hegel Music Systems H360 amp-DAC (420Wpc); and T+A’s PA 2000 R (200Wpc), which I used with T+A’s matching MP 2000 R Mk.II DAC and Network Client. None of these amps had any trouble driving the Veneres to properly high levels; I’m comfortable suggesting that the Veneres would work well with any amp that can comfortably supply 100Wpc into 4 ohms, and that they’d do well in all but the largest rooms. Interconnects, speaker cables, and cords were courtesy DH Labs, Dynamique Audio, and Nordost (see Associated Equipment, below). I also made use of Emotiva’s excellent CMX-2 power conditioner ($99), which helped eliminate the nasty DC hum I used to hear through certain integrated amplifiers. Despite my recent vow not to review any more big, fullish-range speakers, due to the problematic shape of my listening room -- long and narrow, the stereo system arranged partway down one long wall -- the Venere Ses were too good an opportunity to turn down. Moreover, their downfiring ports made me think I might be spared the boomy bass modes that other big speakers had excited here. Accordingly, I spread the Ses about 9’ apart and 9’ from my listening position, with roughly 18” between their tapered rear panels and the wall behind them. I tried toeing them in slightly, experienced instant synergy, and decided not to mess with success. My warhorse of a seven-year-old MacBook Pro laptop served as my source component as I streamed lossless 16-bit/44.1kHz content from iTunes and Tidal. The Venere Signature sounded different. When I put on “Brothers in Arms,” one of the standout tracks from Junkie XL’s (aka Tom Holkenborg) sublime original score for Mad Max: Fury Road (16/44.1 FLAC, WaterTower Music), I was blown away by the dynamics I heard from these shapely towers: they rocked, and rocked hard. As the phalanx of massive drums that provide this track’s foundation unleashed volley after volley, I was not only struck by the Veneres’ tight-fisted bass control -- it never overpowered my room -- but also by the quality of the drumstrokes. There was texture aplenty, with authentic-sounding impact and slam instead of a weightier, punchier, but ultimately falser facsimile. The slightly unhinged string section swings metronomically between grand, sweeping harmonies and passages of tetchy discord. The violins leaned toward the exciting and vibrant end of the spectrum, focusing more on rhythm and attack than on core harmonic structure and density. Nor did the S’s soft-dome tweeter do anything to slow all this down -- I heard abundant ambience and top-end sparkle. Traditional rock was squarely in the Venere S’s wheelhouse, as I discovered by listening to David Arnold and Chris Cornell’s “You Know My Name,” the main theme from the soundtrack of Casino Royale (16/44.1 FLAC, Interscope), the first James Bond film starring Daniel Craig. Of Soundgarden and Audioslave fame, Cornell’s voice has an extended, almost crooning quality. The Sonus Fabers captured the lilt of his voice, and reproduced it in smooth and highly resolved fashion. The central imaging was strong, with terrific presence. The guitar, trademark Bond trumpet, and background drums were all easily discernible, and arrayed in support of Cornell’s lead vocal. Soundstaging was very good, but not the deepest I’ve heard in this price range, suggesting tapered treble extension. But that didn’t take away from my intense enjoyment of the theme -- the overall sound was characterized by admirable neutrality. From the mid-treble down, I heard linearity and composure in spades, with little apparent contouring of the overall frequency response. More surprising than the Venere S’s personality through the lower treble and midrange was its bass performance. I half expected the half-dozen 7” woofers shared by this pair of towers to rock the foundation of my house. And once again, the Signatures politely declined to fulfill my preconceptions about their sound. Many speakers can be a bit uneven below 100Hz, with an emphasis between 60 and 80Hz that gives their sound a punchy or weighty character. Many times this is done deliberately, to offset a lack of legitimate output below 50Hz. Or a designer might elect to pursue maximum bass depth, down to 25-30Hz, only to sacrifice clean, linear output, the trade-off audible as a woofer that’s flapping about and being pushed to its limits. Paolo Tezzon has fallen prey to neither temptation. As mentioned above, the Venere S’s frequency range is claimed to extend down to 40Hz, without the normal -3dB qualification. I estimate that the Veneres easily went down to the mid-30Hz range in my room, but I heard no hint that they could go lower than 30Hz. Rather, the Venere S played within its comfort zone, hitting hard and fast, with zero overextension and a cleanly rapid rolloff. It took me some time to find a song that worked the SF’s woofers without much involving its overachieving midrange cone, but I found it: Photek’s “The Third Sequence,” a 1996 electronica single (16/44.1 ALAC, Astralwerks) with a brutally pummeling bass line. The first few verses rocked those 7” woofers harder than anything else I threw at them, even as I jacked up the volume to a level that made my neighbor two doors down complain. I was hoping for slightly deeper extension, especially down to frequencies more felt than heard, but I wasn’t bothered by its absence -- because what the Venere did do was immaculate, even faultless. It’s the only full-size speaker I’ve had in this room whose bass performance has been accomplished and totally satisfying. And its downfiring port paid big dividends in terms of room flexibility. Given the Venere S’s amenability to dynamically pregnant recordings, I came close to concluding that, when it came to revealing subtleties and microlevel detail, it wasn’t exactly a surgical scalpel. And once again, the Venere Ses doffed their caps and ignored my preconceptions. When I played “Swallowed in the Sea,” from Coldplay’s X&Y (16/44.1 ALAC, Capitol), they re-created Chris Martin’s voice in my living room. His lead vocal was rendered cleanly and precisely, the smooth contours of his voice offset by being vibrantly exposed against an almost pitch-black background. The Venere S toed the ever-slender line between sounding engaging and eager or crisp, lively, almost metallic. 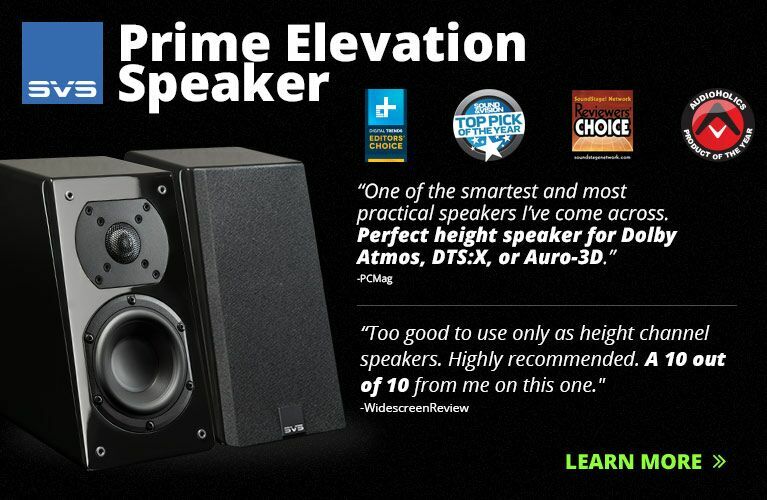 Further, the convincing three-dimensionality that full-size speakers at this price begin to be able to produce was present and accounted for. All of this, combined with strong if not segment-leading transparency and resolution, made the Venere Signature’s sound seriously compelling. I used to own KEF R900s. They cost $4999.98/pair and pack two 8” woofers in each rectilinear cabinet. The KEF is a veritable spokesperson for English conservatism, given its folded-MDF design and understated appearance. But on sonic grounds, the R900 is one of the very best full-size speakers available for the money, its incredibly neutral sound marred only by a hint of treble prominence. 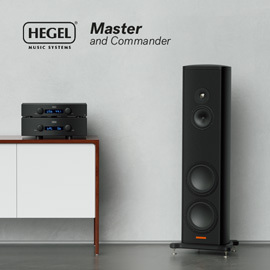 Its midrange has a bell-like clarity, thanks in part to its Uni-Q coaxial treble-midrange unit, which permits ideal phase coherence. The imaging from a pair of R900s is excellent, with aural tolerances narrowly defined in space, and its ability to retrieve the ultimate detail is top flight. Such is the R900’s degree of transparency of sound that any weakness in components upstream can become glaringly audible. The KEF feels solid, well built, and classy. Its materials are all of high quality, and its well-damped cabinet is assembled to tight tolerances. But visually, the Sonus Faber Venere S has it all over the KEF, which looks staid and uninspired in comparison. In addition to being a fine loudspeaker, the Sonus Faber looks like one. In fact, it looks like an art installation. On its sonic merits, the Venere S is highly accomplished in everything it does. But for the same money, the KEF is almost exceptional. 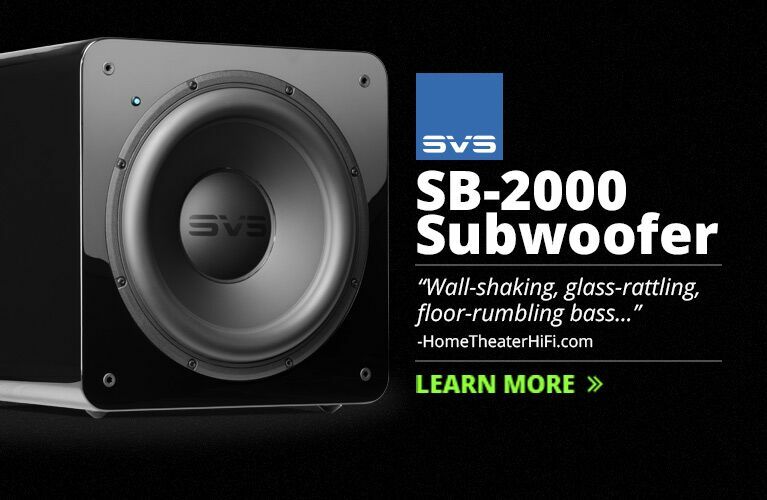 Its bass extends a few hertz lower, and with a touch greater authority. Its midrange isn’t as inherently exciting as the Sonus Faber’s, but its revealing of greater low-level detail, and its sense of spaciousness and overall acuity more than make up for it. It’s also more transparent to the underlying intent of the source material supplied to it, and its soundstaging feats are more structurally coherent from side to side and from front to back. Finally, the KEFs’ imaging is excellent -- they’re able to more precisely define the outlines and placements of voices and instruments. Which would I prefer? I’m torn. I’m consistently drawn more toward the KEF, but only by a fairly narrow margin. 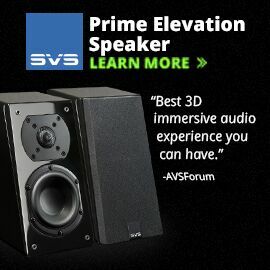 I enjoyed every minute that Sonus Faber’s Venere S loudspeakers spent in my system -- something that happens very rarely. With its stunning profile and attractive optional Wood finish, this shouldn’t surprise. What surprised me was that the Venere S allied that visual beauty with an involvingly vibrant and neutral sound, while offering thoroughly satisfying bass response down to about 35Hz. That makes a loudspeaker handmade by artisans in Sonus Faber’s workshop in Arcugnano, Italy, a bargain at $4999/pair. And since you’re asking, the optional Wood finish is the only one you should contemplate. Trust me on that. Price: $4999 USD per pair (optional Wood finish, add $500 USD per pair).